After writing to Prime Minister Hun Sen in July asking him to order an investigation into the sand dredging taking place in Koh Kong province, CNRP lawmaker Son Chhay on Wednesday accused the prime minister of not fully addressing the issues in his letter of reply obtained Tuesday. In a July 30 letter to Mr. Hun Sen, Mr. Chhay requested a review of the “anarchic” sand dredging being carried out by two companies—Rainbow International and Direct Access—despite a 2009 ban on the dredging of river sand for export. 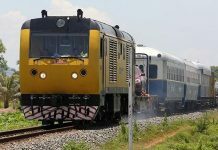 Mr. Hun Sen replied saying that both companies had the necessary licenses to operate, an answer that Mr. Chhay said on Wednesday he was not satisfied with. “I think that Samdech Hun Sen just signed the report prepared by some officials from the Ministry of Mines and Energy, because the answers in the letter do not answer my questions,” he said, going on to insist that both companies were Vietnamese-owned and employed only Vietnamese workers. Mr. Chhay added that he would invite the environment minister and the minister of mines and energy to answer questions before the National Assembly. In his letter, dated November 16, Mr. Hun Sen said Rainbow International was licensed to dredge in four locations in Koh Kong, but had only been dredging in two, and that Direct Access was previously licensed to dredge in one location in Botum Sakor district, but that license had since expired. 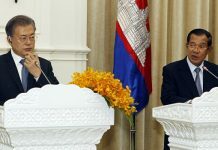 “The two companies are dredging sand for export because we don’t have a domestic market,” Mr. Hun Sen said in the letter. 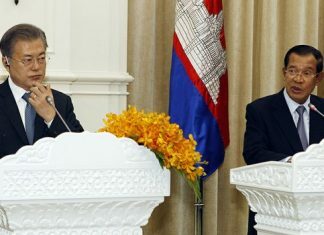 He also said that both Rainbow International and Direct Access are Cambodian companies, naming the owners as Bun Chan Kreusna and Douk Raden, respectively.